Photos donated by Matthew Taylor. To see all the photos Matthew has contributed to the Archives, click here. 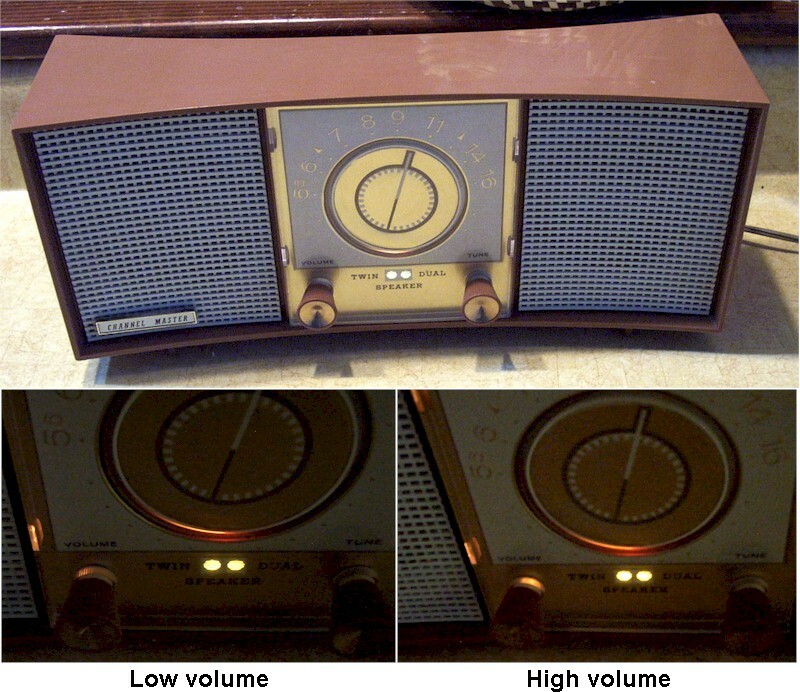 Photos show radio in operation, note lit circles between "twin" and "dual." The volume setting on this radio is displayed in an unusual manner. A beam of light is projected onto the clear plastic shroud on the volume knob. Additional photos show low and high volume operation.